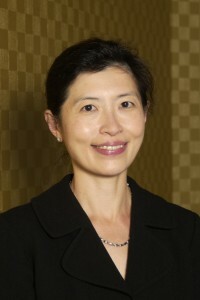 Narci Teoh is a Professor of Medicine at the Australian National University Medical School, Senior Staff Specialist in Gastroenterology and Hepatology at The Canberra Hospital, who is also engaged in part-time private practice at GastrotrACT Gastroenterological Services, Brindabella and Mugga Warra Endoscopy Centres in Garran, Canberra. Her clinical interests in gastroenterology include coeliac disease, as well as digestive tract cancers especially in the prevention, screening and management of cancers that arise in the large bowel and liver. She also has expertise in the care and treatment of patients living with hepatitis B, fatty liver disease and is committed to patient education and advocacy in these areas. Narci is a very active member of the Council of the Gastroenterological Society of Australia (GESA), is Chair of GESA’s Research Committee and has prepared professional and patient information for the Digestive Health Foundation in Hepatitis B, Reactivation of Hepatitis B, Fatty Liver and Rectal Bleeding.